See more about us in our channel presentation! The "Lord" of The Darkness caught in tape in Him Devil's House! Live footage of the "Lord" of The Darkness in our new report about the Devil's House! 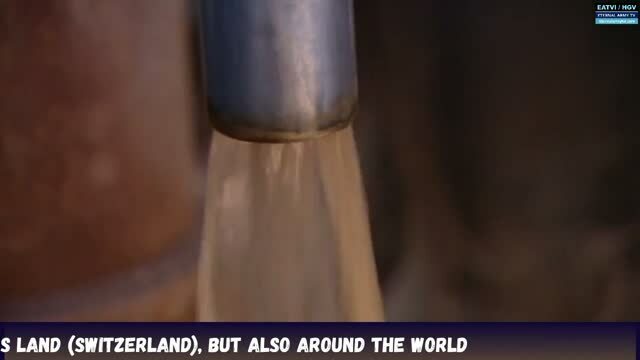 Watch our special report about the latest events that happened in the world. All were predicted before by Jesus in the Holy-Bible! It's time to convert to Jesus now to be saved to not go in Hell! Watch our exclusive and amazing reports about The Angels of God! The Angels of God really exist! Watch our special report about The Angels of The Lord of armies! Watch our report about the true Devil's House and the Door of Hell! Watch our special edition ! God is fighting with you to give you VICTORY. Swiss 11-storeys each one twin towers in danger in Le Locle! After what happened on September 11, 2001 in New York, that is now 2 11-storeys twin towers that are ready to be burned and destroyed in Le Locle (Switzerland)! True News TV report the latest news and information about The God's Angels Army, and report news especially about The Door of Hell, The Devil's House and The Twin Peaks gate through amazing news clips. - Swiss twin towers in danger! Exclusive live footage of the "Lord" of the Darkness caught in tape in It's Devil's House in Le Locle. This video also show rare live footage of paranormal activities that happen in the Devil's House in straight relationship with the Devil's presence in this Villa! CONVERT TO JESUS AND THEN SAVE YOUR SOUL AND GET ETERNAL LIFE TO REJOIN US IN PARADISE VERY SOON!!! JESUS LOVE AND WILL SAVE YOU FROM THE HELL, THAT IS WAITING TO RECEIVE ALL THE UNREPENTANT SINNERS! Our latest report about what is now happening in the earth! Jésus have told before about all what is happening now. From the earthquarters in Bali, indonesia and Sri-Lanka as well in Thailand, and in Japan on March 11, 2011, all these events was anounciated before in the bible by Jesus and all is happening right now. In the last events, We can notice the amazing signs in the sky of Jerusalem as well the trumpets sound, and, as it happen for me, that true christians will be persecuted and delivered by their parents! THE END IS NIGH. IT is THE LAST TIME TO CONVERT TO JESUS-CHRIST, alias YAHUSHUA HA MASCHIACK BEFORE THE END! It is probably one of the biggest secret of all times, hidden by the elite of the freemasons, aka the illuminati for a long time! How they get power for their entire pyramidal structure, worshiping and invoking demons like the treasurer of Hell, aka Astoroth and older gods as ISIS, in a secret hidden temple, made with 2 twin towers and of the parvis that is not less than the famous "black lodge" in which they practice sacrifices to invoke the worst demonic entities through ritual like the goetia or the magic of Abramelin! In the second part (see below) we will told you how they do a connection with the Gate of the kingdom of darkness located in a small jurassic town (Le Locle) and the "star" gate located on Saturn to get their power! In this second part, we will tell you more about one of the biggest secret hidden by the elite of the freemasons, aka the illuminati, for a long time! From where and how they get power for their entire pyramidal structure?!? By invoking demons like Astaroth or older gods as Isis in a hidden secret temple, they just have open the Gate allowing now demonic entities to come out the kingdom of darkness which is concealed under the swamps of the small jurassic town of Le Locle, located in Switzerland, and that is now uncredibly connected with the "star" gate located on Saturn's pole, all that to get from there fully demonic power!!! The completed 2 parts on our serie "The twin Peaks Gate" are now available! Enjoy it! EATVI/HGV : YOUR NEW GOD SUPPORTED TV INFORMATION CHANNEL IN LIVE FROM THE ABYSS / THE UNDERWORLD PORTAL ! 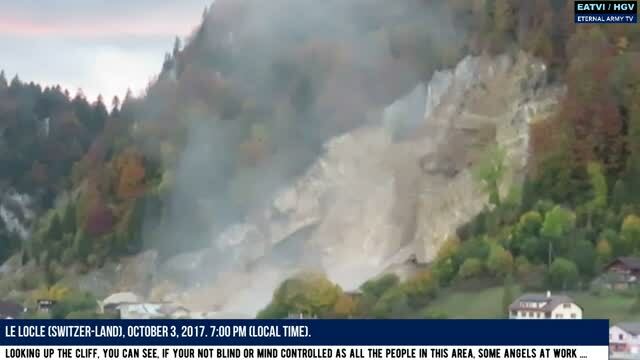 It is a God supported online channel reporting the best true news about the evil corporate's crimes, the Devil's House and The Door of Hell in live from the top of the swiss twin towers, located in the little town of "twin peaks", aka Le Locle, a little city lost in the swiss jurassic mountain. It is located on the top of the south tower of THE famous GATE, the portal to the demonic Underworld Kingdom of Darkness! 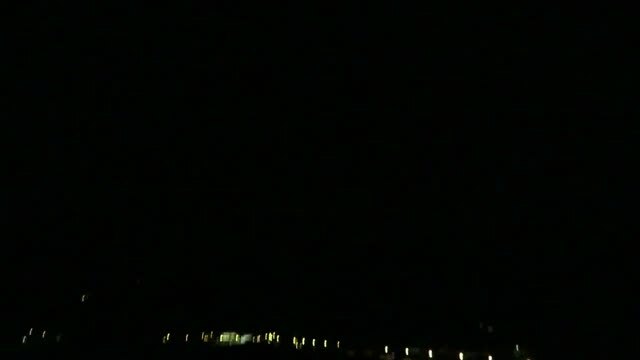 This video show how the Swiss army was ridiculed in the last year, and have been fully defeated by The Lord of the armies and His Angels legions, after that the Swiss army have continued to hunt its own innocent citizens, using especially EC635 armed helicopter, to try to kill them discreetly because they speak and tell too much about the several crimes against the humanity for which the freemason government of the Swiss State is guilty for! The small town of Le Locle, located in the Neuchâtel jura in Switzerland has many statues. After to have study some of these, we are now able to report that it is no more and no less than statues of ancient idols, such as those of Moloc, Baal, or the great prostitute of the Apocalypse aka ISIS, Astarte; Lilith, Ishtar or Astaroth ! This is also one of the last warnings from The Lord, The Eternal God of armies to Judah and Israel before they will be destroyed to have betraying the covenant they had made with The Lord, turning away from Him to worship other gods !!! The latest report from True News TV / Eternal army TV give the latest news about the angels of The Eternal God of armies. 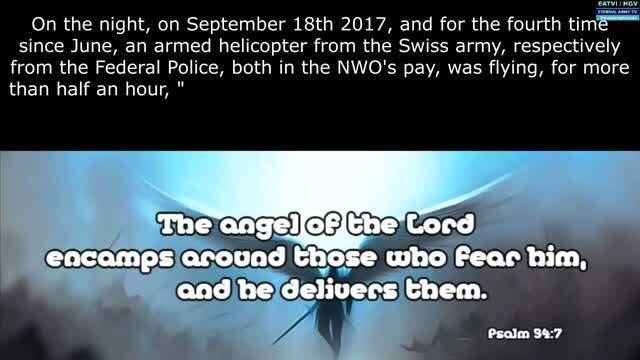 It show especially, through true very amazing images, angels of The Lord diverting a NWO helicopter of the satanic Swiss army that was tried to kill an innocent citizen to make him shut down! But the angels diverted the helicopter and still protected in the same time the innocent target from the armed helicopter as well from the federal swiss police (Tigris) based on the ground that had for mission to shot the innocent swiss citizen to put him into silence! On the beginning of October 2017, we reported that the Door of The Hell opened, and that the key of the Abyss was given to the fifth angel during the collapsing of the cliff of "Le Col-des-Roches", on October 3, 2017 to open the bottomless pit of the Abyss. We are now able to report that It was done ! But after that what is happened ? Good luck to all people that have not the God's seal! Posted today on April 3, 2018. THE ANGELS OF THE ETERNAL GOD ARMIES DIVERTING A HELICOPTER OF THE NWO'S ARMY AND STILL PROTECTING THE INNOCENT TARGET ! The biggest secret of the freemason NWO elite unveiled: It's "The Twin Peaks Gate"/"Underworld's Gate" ! The biggest secret of the freemason NWO elite unveiled: The "Twin Peaks Gate", the evocation by the elite of Freemasonry, the illuminati, of the most powerful demons like the one of Astaroth, through a secret Freemasonic temple composed of its parvis , the true house of the devil (the black lodge) and its portal to the underworld (the kingdoms of darkness), composed of 2 twin towers! 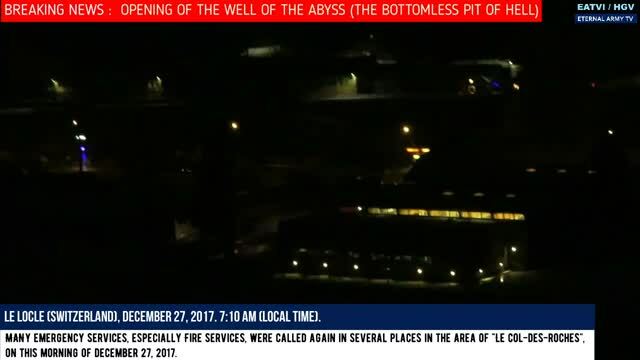 OLDER NEWS REPORT : THE DOOR OF THE HELL (THE BOTTOMLESS PIT) OPENED ! Then the fifth angel sounded the trumpet, and I saw a star fallen from heaven on the earth; and the key of the abyss well was given to this angel. And he (THE ANGEL FALLEN FROM THE SKY) opened the well of the bottomless pit, and he went up out of the well a smoke, like the smoke of a great furnace; and the sun and the air were darkened from the smoke of the well. Therefore I will make Samaria like a heap of stones, which is done in the fields where vineyards are planted; and I will roll its stones in the valley, and I will discover its foundations. And all his graven images will be broken, and all the wages of his prostitution will be burned with fire, and I will put all his false gods in desolation; as she has amassed them from the wages of her prostitution, they will also return for the wages of a prostitute. © 2018 True News TV - Eternal Army TV - News online channel. All Rights Reserved.